Colorful gems make these drops stand out. 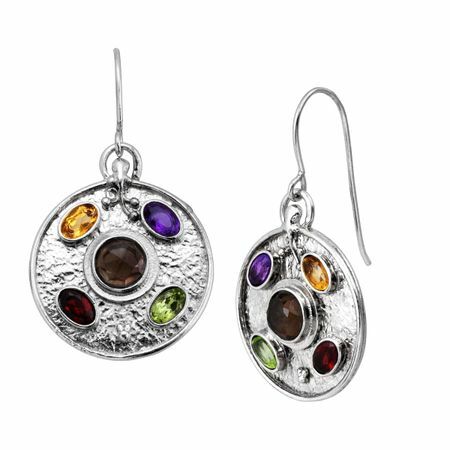 Smokey quartz, amethysts, garnets, peridots, and citrines are set against sterling silver and effortlessly resemble an artist's palette. Earrings measure 1 9/16 by 7/8 inches. Pieces come with ".925" sterling silver stamps as symbols of guaranteed product quality.